BUZZY GAMES is a French board games publisher created in 2014. Its aim is to design fun, accessible and user friendly games. After a start in video games and 12 years serving gourmet pleasure (confectionery products, chocolates …), its creator made his greatest wish: work on the pleasure to play around the table. His first game about funny faces launched in 2015: TOP FACE! is a huge success. 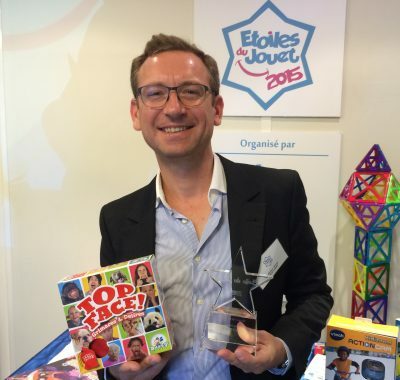 It was elected “Etoile du Jouet 2015” by the jury of the French Toys Federation. On the same principle of Party game, he created and published TOP DANCE! Just Dance® with the Ubisoft’s world-famous dance game license.